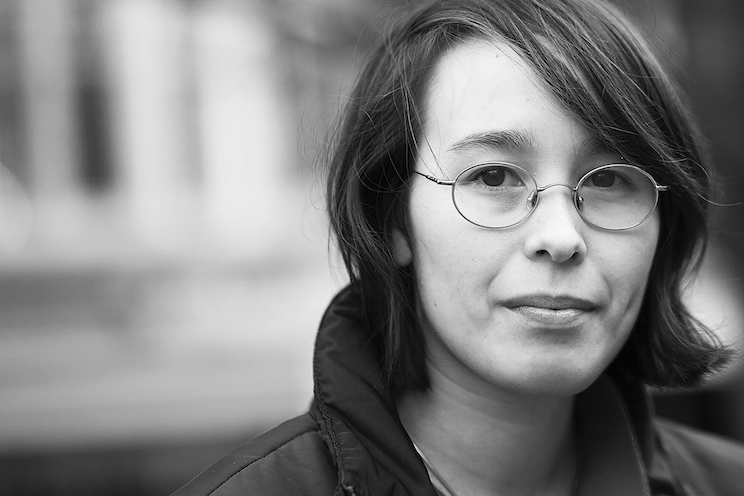 This is the home page of Aliette de Bodard, writer of fantasy and science fiction (and the very occasional horror piece). 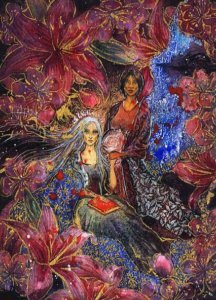 Aliette has won two Nebula Awards, a Locus Award, a European Science Fiction Society award, and three BSFA (British Science Fiction Association) Awards. In 2016, she became the first writer to win two BSFA awards in the same year for Best Novel and Best Short Fiction (see The Guardian‘s coverage here). She is a Nebula award finalist, Lammy award finalist and double Hugo finalist for 2019 (Best Series and Best Novella). She has also been a finalist for the Sturgeon award. She is the author of the Hugo-award nominated series The Universe of Xuya, a group of loosely connected stories in which Vietnamese and Chinese cultures have reached the stars and develop their own mindships, artificial intelligences borne in human wombs and raised in mixed families: a complete list of these stories and some additional background information can be found here. 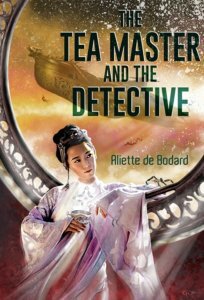 Three short novels are set in this universe: The Tea Master and the Detective (Subterranean Press, March 2018, finalist for the Hugo and Nebula Award), On a Red Station, Drifting (a finalist for the Hugo, Locus and Nebula Award), and The Citadel of Weeping Pearls. Her novel, The House of Shattered Wings, won the British Science Fiction Award for Best Novel. 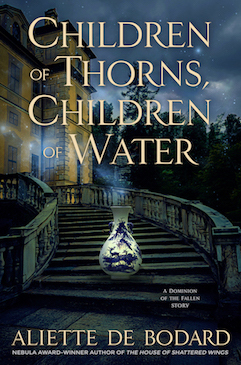 The standalone second book, The House of Binding Thorns won a European Science Fiction Society Achievement Award. 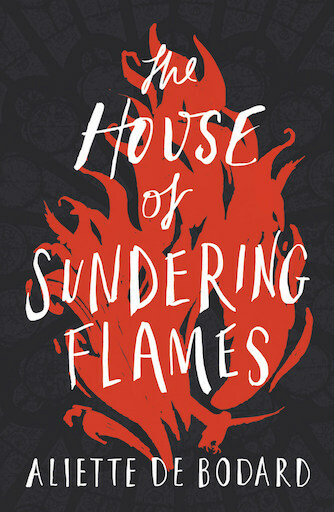 And the third book, The House of Sundering Flames, will be published by Gollancz on July 25th 2019. Turn of the century Paris in the shadow of the Great Houses’ War: quasi-feudal Houses vying for dominion over a ruined city, addictive magic, fallen angels–and entirely too many dead bodies! 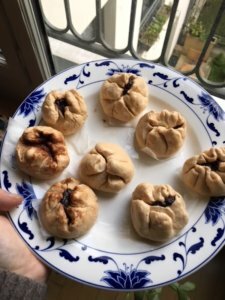 She lives in Paris, France, in a flat with more computers than she really needs, and uses her spare time to indulge in her love of mythology and history, as well as her love of cooking (the recipe page can be found here). Aliette is Franco-Vietnamese, and will gladly use any excuse to shoehorn Vietnamese history and culture into her fiction. A more extensive biography is available here, and a list of her fiction can be found here. Here you will also find Aliette’s schedule and her list of essays on science, culture, and other genre-related stuff. Aliette is represented by John Berlyne of the Zeno Literary Agency: for any enquiry, please contact the agency. Gorgeously atmospheric queer fantasy (…) like Jane Eyre if Rochester was a woman plus a dragon. 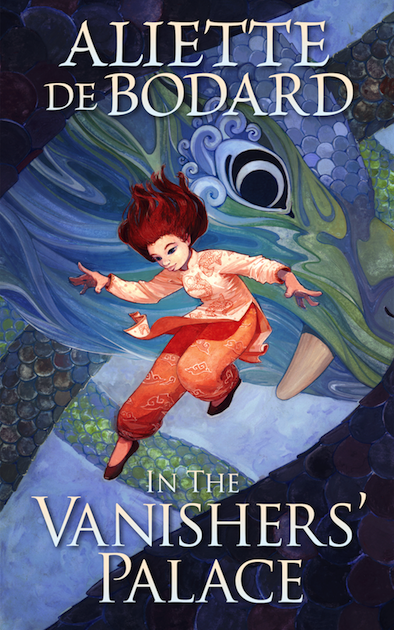 More information about In the Vanishers' Palace here. I’ll be a guest at Elstercon 2018, September 21-23 in Leipzig. Come hang out! Official website. The heartbreaking, exhilarating finale to the Dominion of the Fallen series. In a turn-of-the-century, devastated Paris, an explosion sets off a race between magical factions to defend themselves. Out July 25th from Gollancz: you can preorder here, here and here. .